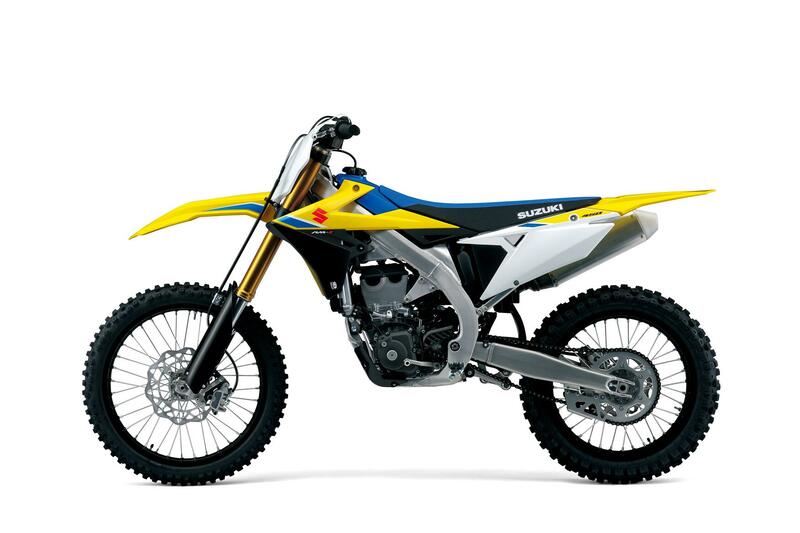 Following its recent launch, Suzuki have announced the price of the new 2018 RM-Z450 motocross bike. The new machine will hit UK dealerships in September and will be available for £6,999 - £400 more than the outgoing model. For 2018, the RM-Z450 gets an all-new chassis, updated engine, traction management and the latest version of Suzuki’s holeshot assist. The all-new chassis weighs 700g less than the outgoing frame, while a new swingarm sees a further weight reduction of 100g. 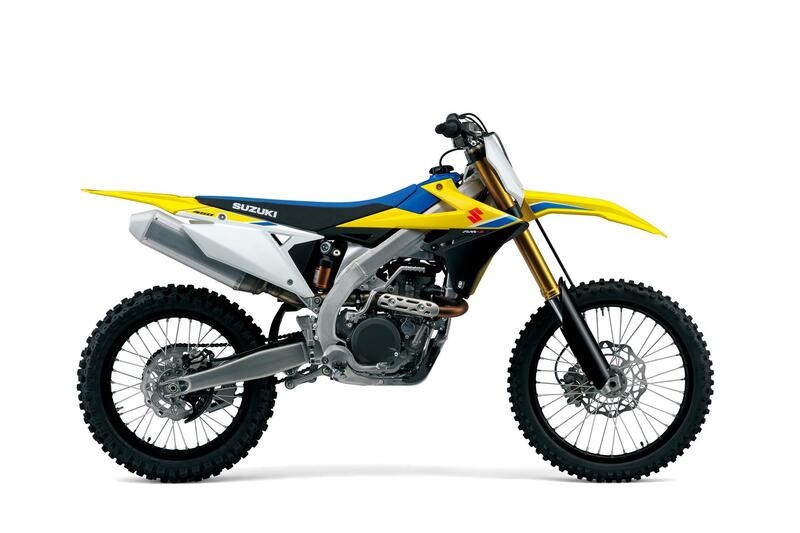 Suzuki say these changes to the chassis and swingarm improving cornering performance, stability, and shock absorption. Despite the claimed weight loss, the 2018 RM-Z450 weighs 112kg, the same as the outgoing model. Suspension is also updated for 2018, the new coil spring Showa forks replace the air forks of the outgoing model, while suspension at the rear is provided by Showa's Balance Free unit. The new engine on the 2018 model has been developed to deliver more power and torque and improved low-mid range torque, as well as an improved throttle response. Regulating the improved power and torque for better race starts is the latest version of Suzuki's holeshot assist, which optimises ignition timing and offers two modes for riders to choose from. A-mode is designed for use in slippery conditions, while B-mode works best when more grip is available. Holeshot assist isn't the only electronic system on the onboard the new RM-Z450 as it is joined by a new version of Suzuki's traction management system. Unlike road-going traction control, which monitors rear wheel spin, Suzuki's system monitors throttle position, engine speed, and gear position to optimise traction for the riding conditions. We hope you like yellow, because that's the only colour option. Contact yoour nearest Suzuki dealership for more information.